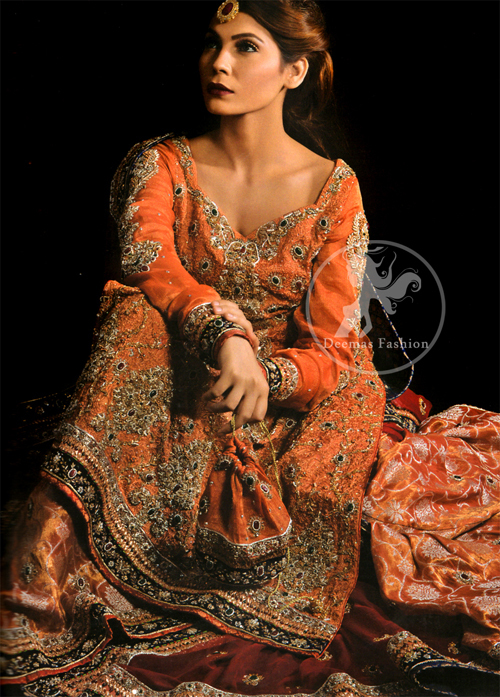 Tags: Deep Orange, Kameez, Long Length, Maroon, Reception & First Day, Sharara. Fully embellished rust pure chiffon shirt. 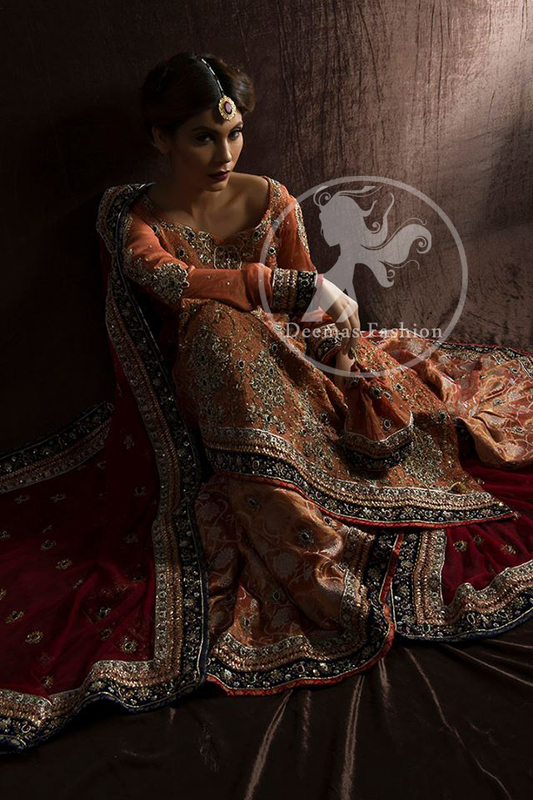 Pure brocade (Kamkhab) sharara with embroidered border at the bottom. 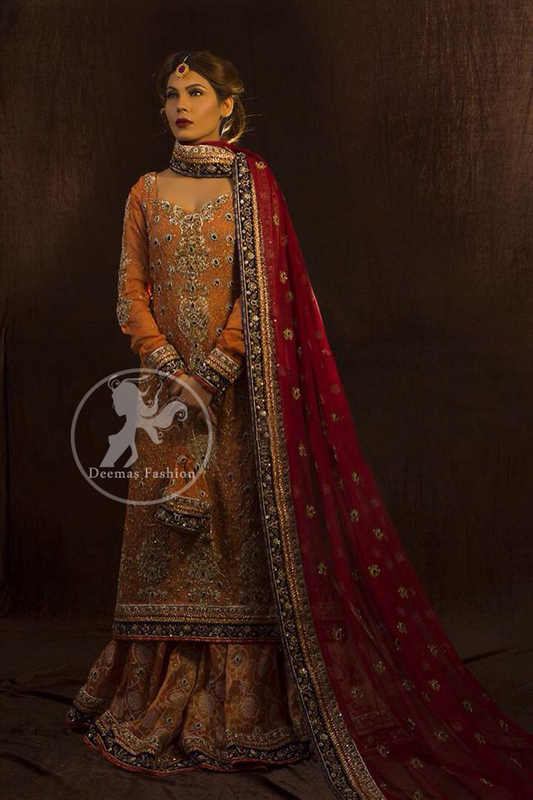 Maroon pure chiffon dupatta having four sided embroidered border. 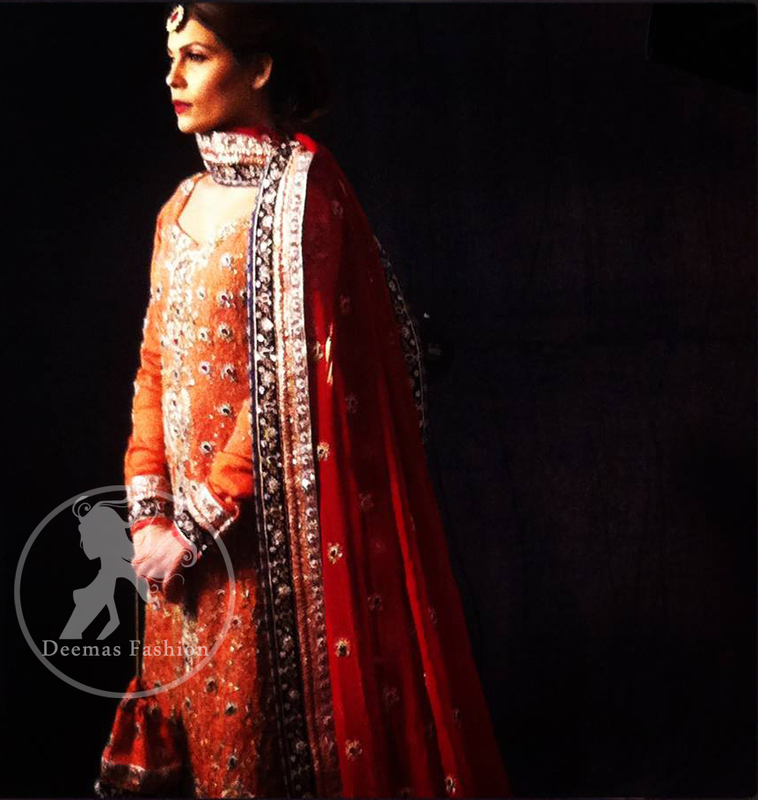 Motifs spray scattered all over the sharara and dupatta.